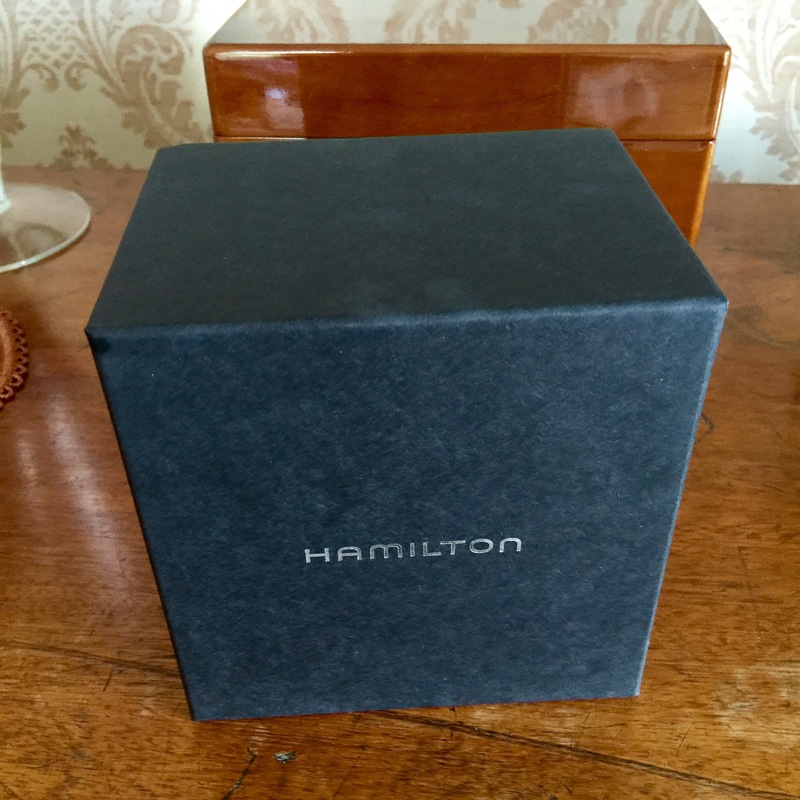 Hamilton watches have released a new Ventura in order to commemorate what would have been Elvis’s 80th birthday this past January 8th, 2015. 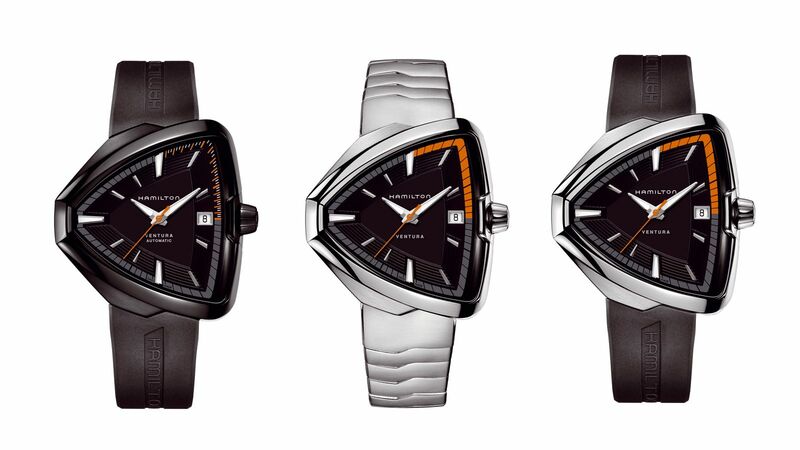 The watch will be available in 4 variations: Quartz, with a stainless steel case and a choice between rubber or steel bracelet and an automatic, H-10 80 hour power reserve movement, with a black case and this time a choice between rubber or leather strap. 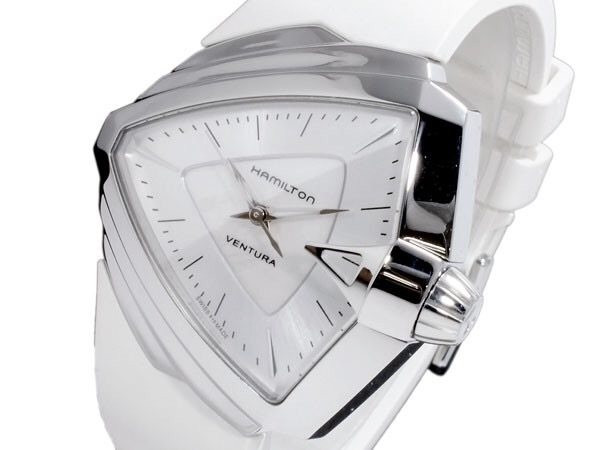 I already have a Hamiton Ventura automatic as below and I simply love this watch. 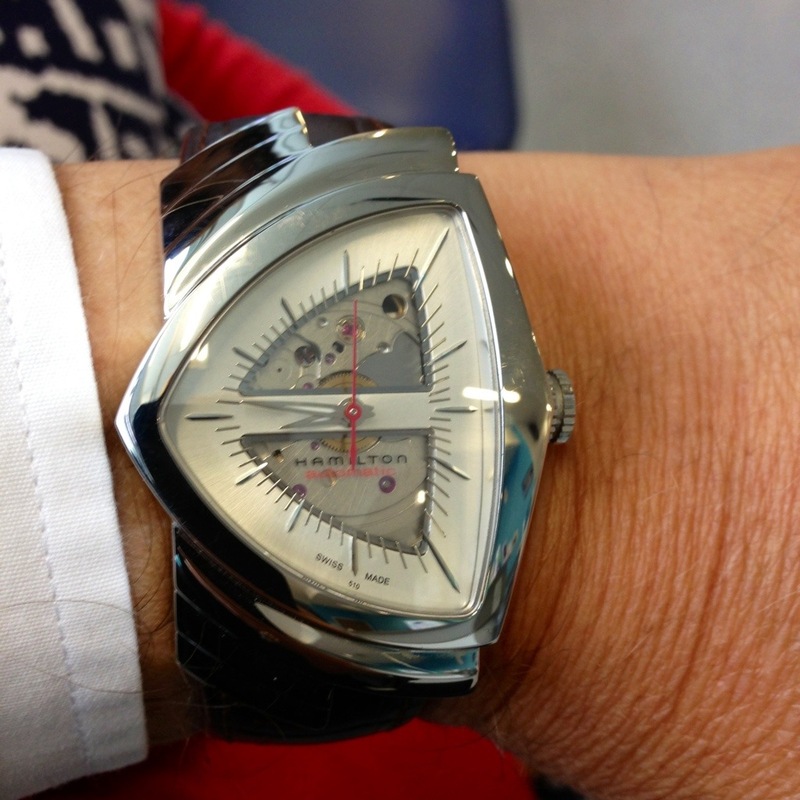 I love Elvis and I love the Ventura! 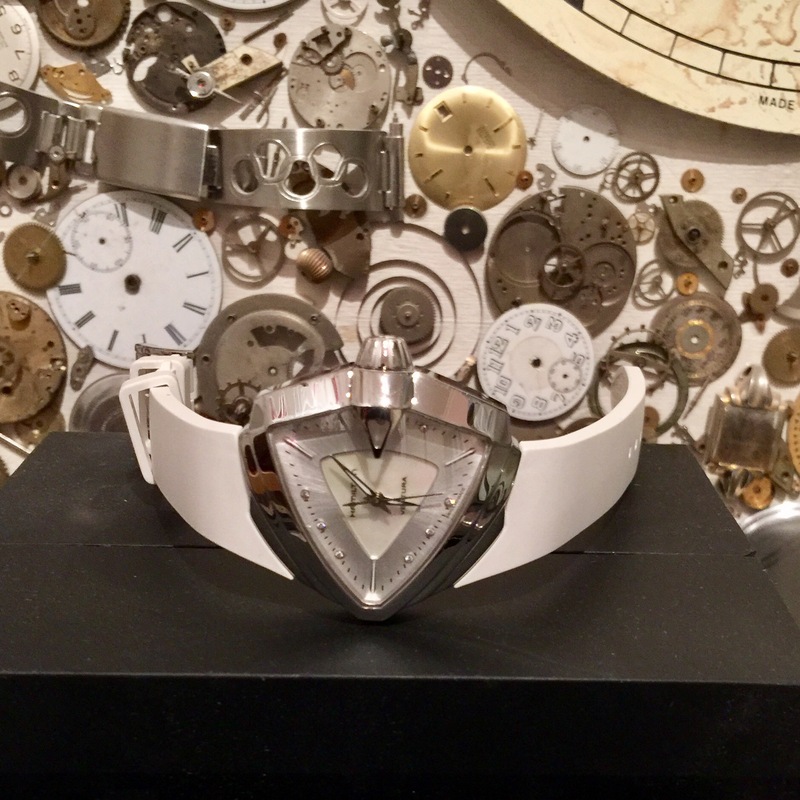 I know the Ventura’s are a very provocative watch, with most people either loving them or hating them, or secretly loving them but not daring enough to wear one. 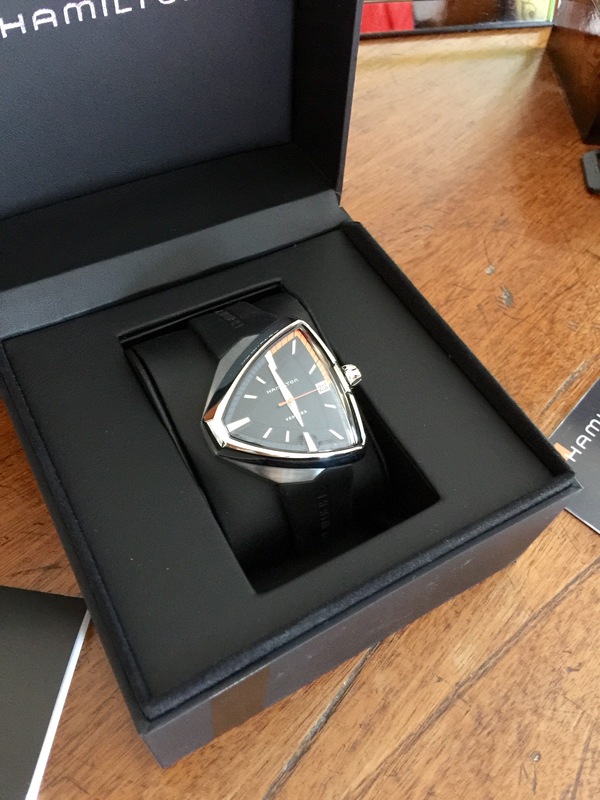 Lately I have been pretty content with my watch collection and the only things catching my eye are things beyond my pocket such as a Patek Phillippe Aquanaut but when I saw this I really was smitten. 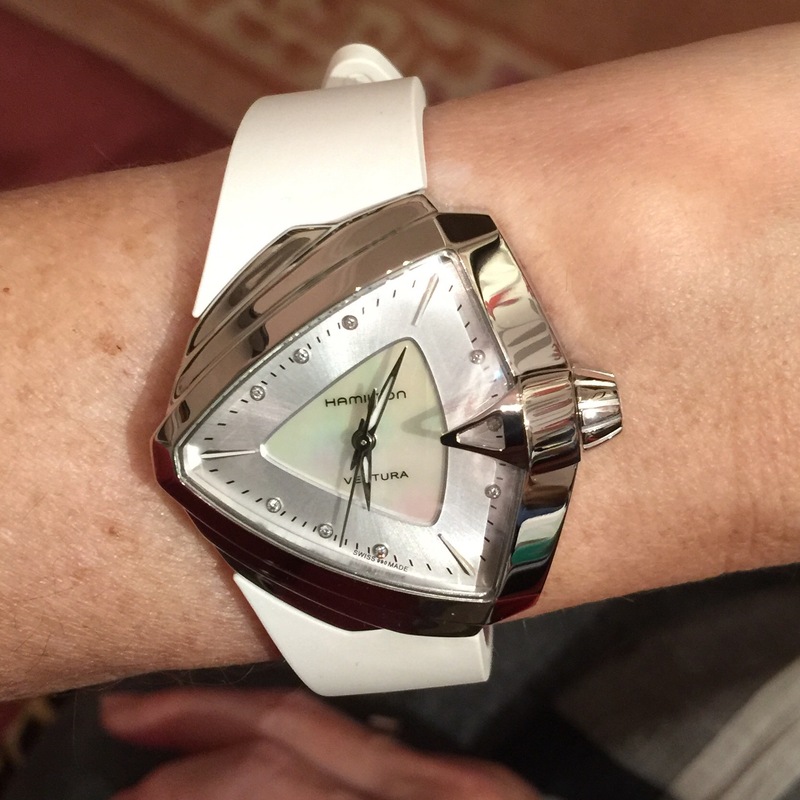 However, at 42,5 x 44,6 mm in size I will have to try one on as it might just be too big for me. 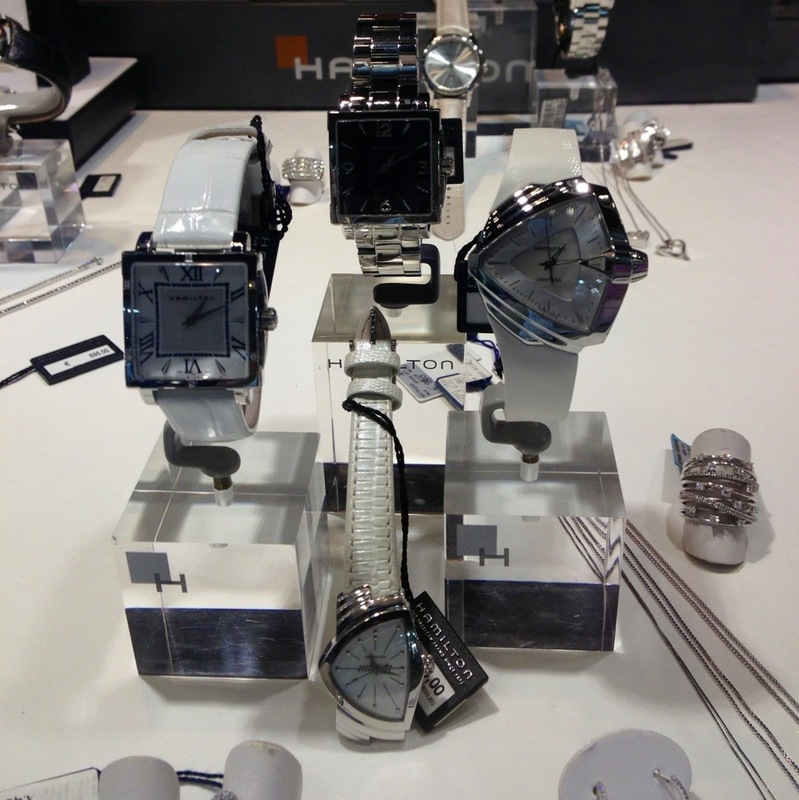 The one I like is the stainless steel face with stainless steel bracelet. 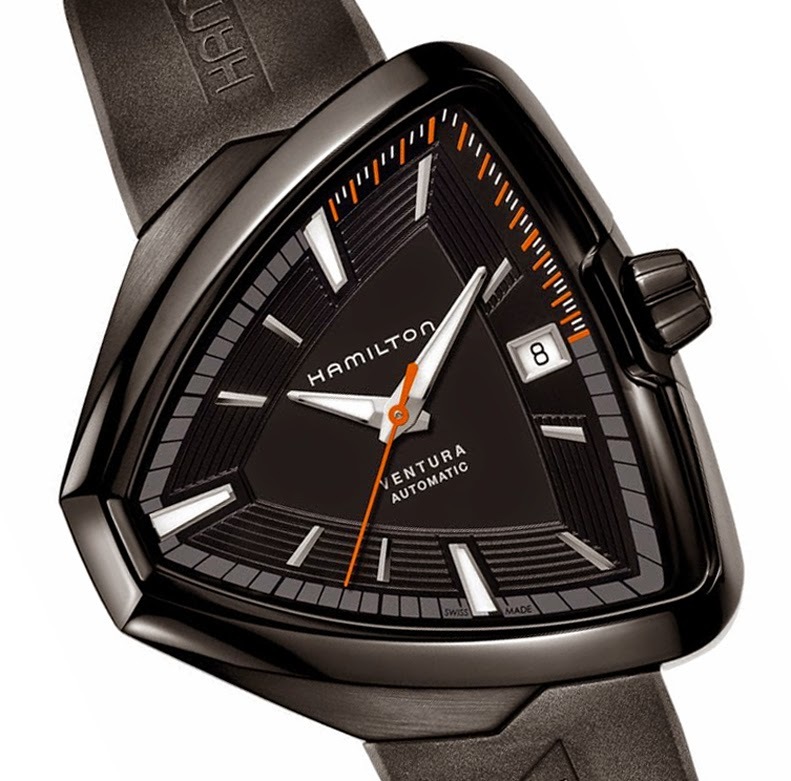 Categories: Hamilton | Tags: Baselworld, Elvis, Hamilton, Ventura | Permalink. 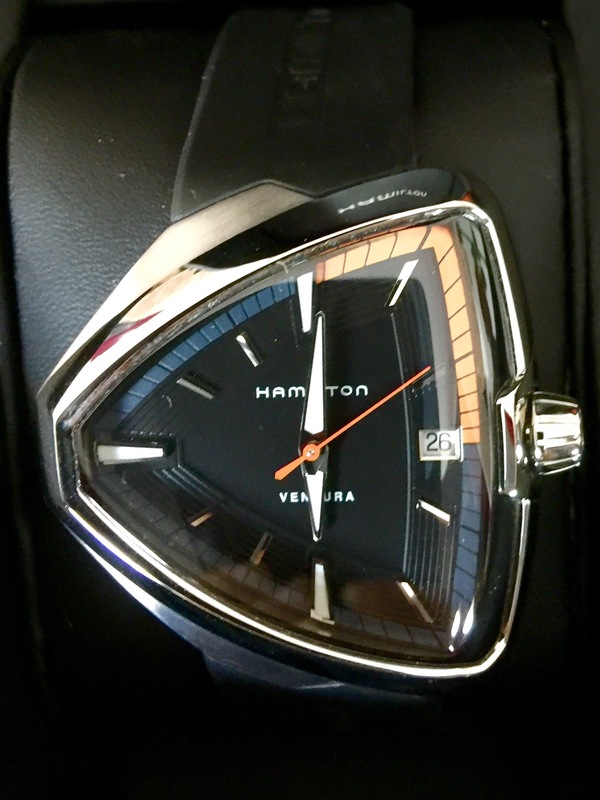 It always gives me a good feeling when I wear my Hamilton Ventura. 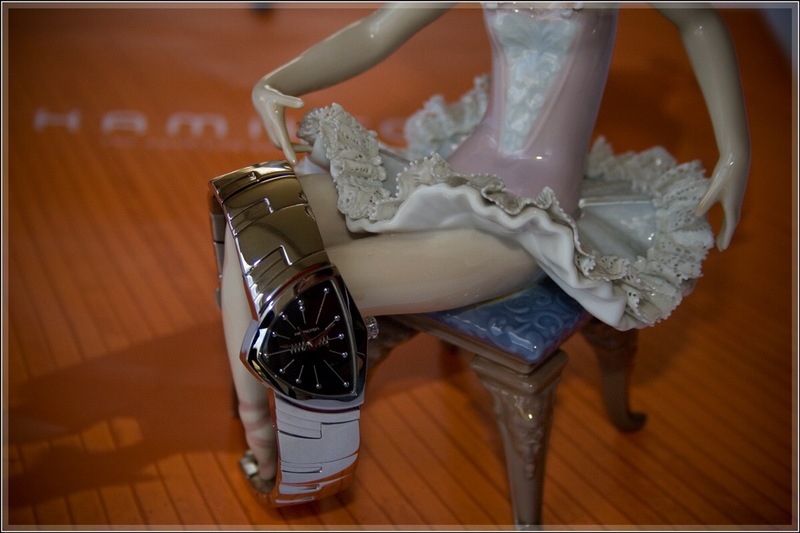 It is just so different from anything else I wear. 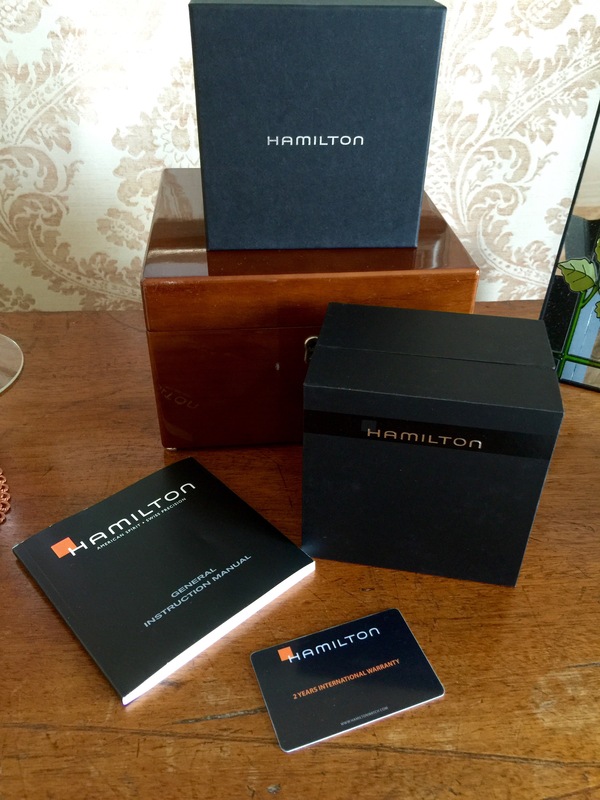 Categories: Hamilton, Watch Blog, Watch Brands, Wearing Today | Tags: Hamilton, Ventura | Permalink.